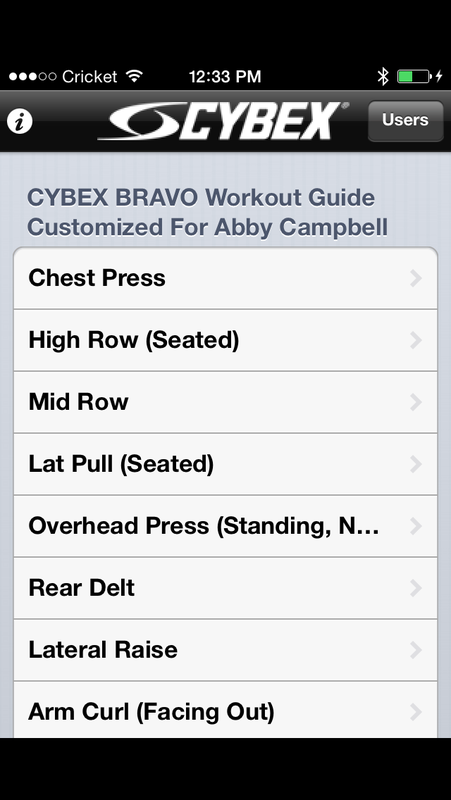 Allows you to note the weight settings you last used for each exercise. 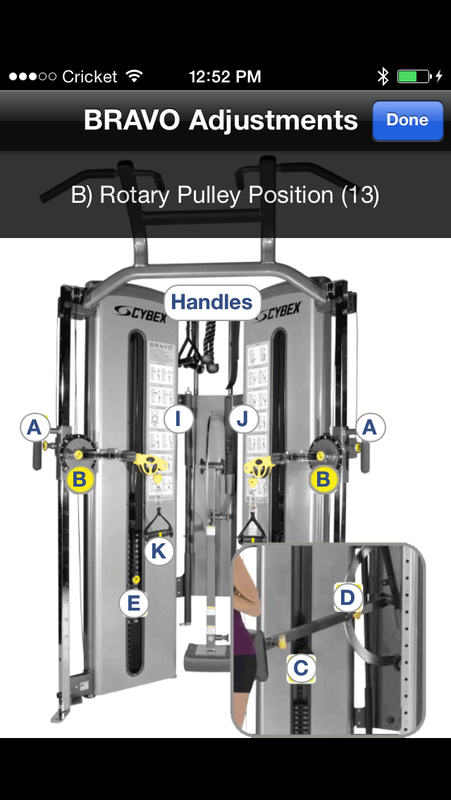 Have you ever gone to use a piece of fitness equipment and were confused about how to set it up, or were not sure if you were doing the movements correctly? This app takes the guesswork out of setting up our equipment because it is completely customizable, and gives you clear demonstrations for each exercise so you can work out with confidence. What is the Bravo Functional Trainer? It is an all-in-one fitness machine that combines both selectorized and cable-based strength training. The Bravo features the Progressive Stabilization system, which allows the user to incrementally modify the stabilization provided. This means users can increase core strength and workload at the same time. With a 3x increase in load capacity and a 3x increase in core activation, no other functional trainer can touch Bravo's results. The app is available for FREE for the iPhone and iPad. Click here to download it now.